Students and researchers of history of medicine may be interested to learn about a project to digitise almost 22,000 tracts and pamphlets from the library at the Royal College of Surgeons. These will become part of the UK Medical Heritage Library, a project bringing together books and pamphlets from 10 research libraries in the UK to form a digital collection of nineteenth and early twentieth century material on history of medicine and related disciplines. The digital library promotes free and open access to resources. Digitisation work will be undertaken by a team at the Wellcome Library in London, and will make the RCS’s collection accessible globally. The pamphlets have a wide range of subject matters, and collectively provide valuable insight into developments in surgery, anatomy and disease over the duration of the century. This entry was posted in Electronic resources, News and tagged digital collections, Electronic resources, News, resources on 21 May 2015 by . This entry was posted in Electronic resources, News, Uncategorized and tagged Electronic resources on 3 February 2015 by . 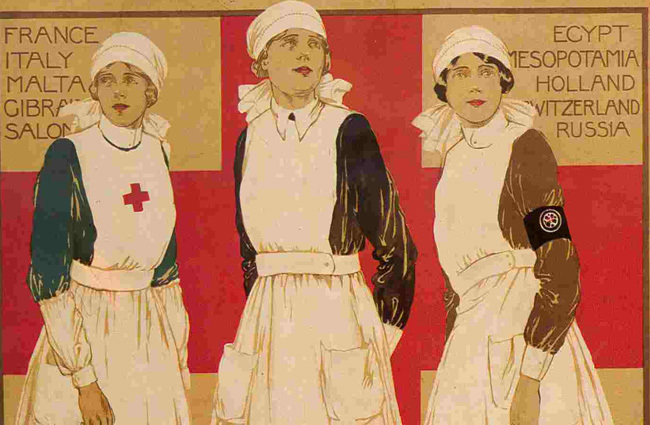 From the British Red Cross comes a range of information and resources on their activities during the First World War. 90,000 volunteers worked at home and abroad during World War One. They provided vital aid to naval and military forces, caring for sick and wounded sailors and soldiers, and the Red Cross is uploading personnel records into a searchable database. The personnel records for surnames starting with A and B are currently available. Volunteers are updating the site with more names every few weeks. Along with this, there are informative sections on Auxiliary Hospitals, famous volunteers and friends of the Red Cross, and downloadable information sheets on many aspects of the work of the Red Cross during WWI. There is also a page with photographs of unidentified volunteers – can you identify any? Find out more at the Red Cross Website. This entry was posted in Electronic resources and tagged Electronic resources on 27 October 2014 by . Through the resources in Doctor or Doctress?, students will learn core American history themes—such as the Age of Reform, the Civil War, the World Wars, the Progressive Era, the Great Depression and social justice issues—through the lens of 19th- and early 20th-century women physicians. The collections at the Drexel University College of Medicine Legacy Center reflect the history of one of its predecessor institutions, the Woman’s Medical College of Pennsylvania–the first medical school in the world for women–as well as history of women in medicine internationally. Made possible through grants awarded by the Pew Heritage Philadelphia Program, the site makes the Center’s unique collection on women in medicine not only available, but truly accessible, to high school students and their teachers. Video, audio, timelines, maps, contextualized presentations of primary source documents, guiding questions, and interpretive metadata provide the guidance that students need to place primary source documents in historical and cultural context. This entry was posted in Electronic resources and tagged Electronic resources on 21 October 2014 by . Rhodes House Library have recently converted the Catalogue of the papers of the Overseas Nursing Association to EAD format, and now published them online. The Overseas Nursing Association, formerly the Colonial Nursing Association, was established in 1895 to provide trained nurses for hospital and private work in the British colonies and among other British communities abroad. When Queen Elizabeth’s Overseas Nursing Service (as the Overseas Nursing Association came to be known) closed on 1 December 1966 the Executive Committee agreed to donate their papers to the Oxford Colonial Records Project. The papers were received by Rhodes House Library in February 1967. An association for members (Queen Elizabeth’s Overseas Nursing Service Association) was formed on 25 May 1966 and continued until 2006. The collection covers the whole period of the association’s existence, 1896-1966, and includes some earlier papers concerned with its formation (MSS. Brit. Emp. s. 400 / 120 / 1, fols. 1-20) and some later papers concerned with financial matters (MSS. Brit. Emp. s 400 / 18a). There are 119 bound volumes – minutes of meetings, ledgers and registers, and printed material – and 32 boxes of correspondence and other records including the complete series of annual reports. 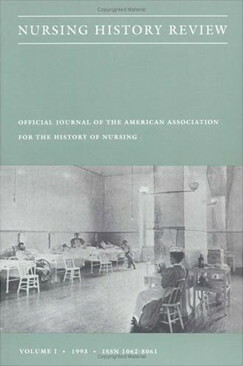 In the final annual report the work of the association is reviewed in a “Historical Survey” (MSS. Brit. Emp. s. 400 / 131, item 53). The full list of items can be found here – Catalogue of the papers of the Overseas Nursing Association, and will be of interest to those studying Colonial History, as well as History of Medicine and Nursing History. A reminder that the reading room at Rhodes House will be closing on 12 September 2014 and reopening in the Weston Library on 22 September 2014. The archives and rare books will be moved to the Weston stacks in August-September. The majority of the rest of the book collection has now been moved to the BSF at Swindon. Information about the Weston Library is available on the Bodleian website and this will be added to over the coming months. This entry was posted in Electronic resources, News and tagged Electronic resources on 19 May 2014 by . Wellcome Library (London) and NLM partner up! Representatives of the US National Library of Medicine (NLM), a component of the National Institutes of Health, and the Wellcome Library have signed a memorandum of understanding to work together to make thousands of complete back issues of historically significant biomedical journals freely available online. The terms of the agreement include a donation of £750,000 ($1.2 million) to the NLM that will support coordination of the three-year project to scan original materials from NLM’s collection at the article level, and the Wellcome Library’s work to secure copyright clearances and permissions for electronic deposit from publishers. NLM will undertake conservation of the original material to ensure its preservation for future generations. NLM is authorised to accept donations in support of its mission. Key journals charting the development of modern medicine over the last 150 years will be digitised in their entirety and made available on the National Institutes of Health life sciences repository PubMed Central (PMC) and its European counterpart, Europe PMC. The project builds on the Medical Journal Backfiles Digitisation Project (2004-2010), and will contribute substantially to the current PMC archive of over 3 million articles from medical journals. Part of the project will concentrate on mental health journals, supporting a major archive digitisation programme also being undertaken by the Wellcome Library. Journals to be digitised include ‘Mental Health’, ‘Mental Hygiene’ and the ‘Journal of Psychological Medicine and Mental Pathology’. Other journals have been selected for their general relevance, such as the ‘Indian Medical Gazette’, the ‘British and Foreign Medico-Chirurgical Review’ and the ‘Transactions of the Epidemiology Society of London’. Simon Chaplin, Head of the Wellcome Library, and Jeffrey S Reznick, Chief of the NLM’s History of Medicine Division, worked together to arrange the partnership in cooperation with their respective teams. In addition to images and searchable text, NLM will also create article-level citations for PubMed. Digitisation is expected to start in late 2014 and to be completed by 2017. Material will be added to PMC and Europe PMC as it is digitised. This entry was posted in Electronic resources, News and tagged digital collections, Electronic resources on 15 April 2014 by .